Puree onion, carrots and broccoli in food processor or blender until smooth. Mix cheddar, mozzarella, egg, butter and olive oil in large bowl. Add cooked macaroni, vegetables and ½ cup bread crumbs. Stir until just incorporated. Spoon mixture evenly into greased muffin pan. 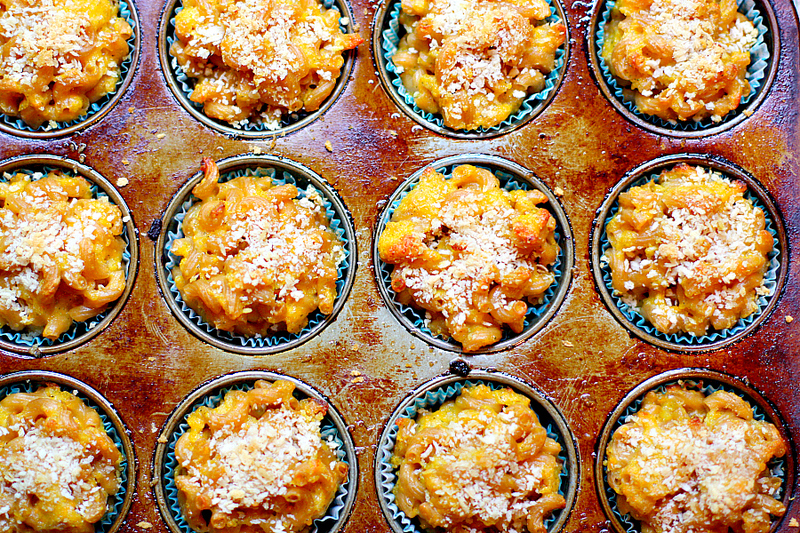 Sprinkle remaining bread crumbs on top and bake 30 minutes, or until lightly browned. Produce for Kids Instagram and Twitter fans can use the #PowerYourLunchbox hash tag to show off their healthy lunchboxes throughout the program to be automatically entered to win weekly prizes and have their lunchboxes featured on Produce for Kids’ Facebook page. Prizes include bento boxes, fruit-infusing water bottles, grocery store gift cards and more. 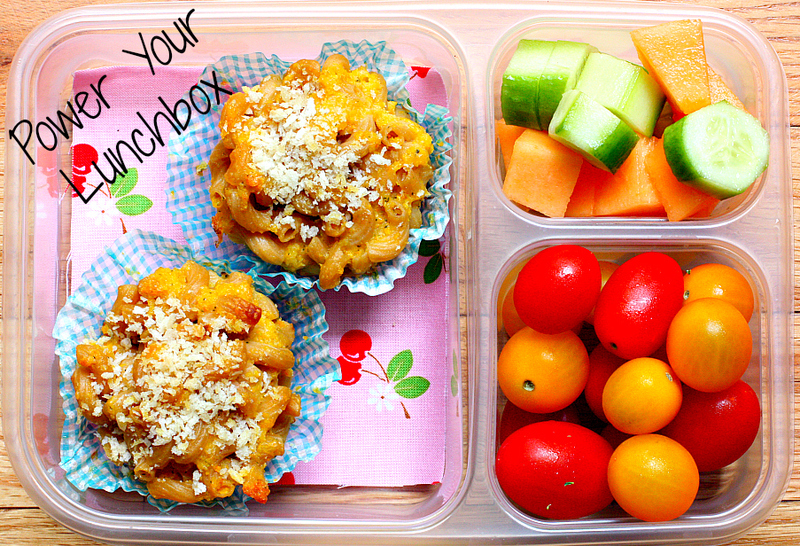 Parents looking for even more tips and resources for healthy lunchboxes are invited to join me & Produce for Kids and partner companies at the #PowerYourLunchbox Twitter party on August 20, 2014 at 9pm ET. Do you steam/cook the vegetables first before pureeing them? Also, have you tried freezing these? The veggies are pureed raw. They cook during the baking process. If you don’t have a sweet onion on hand I would use1/4 cup of a regular onion as the taste may be a bit stronger. Either way they are delicious. I hope you enjoy them! Looks sooo good. Feed me! Could I freeze them uncooked (or cooked for that matter)? Hi Marci, We freeze these cooked all the time. They turn our great!